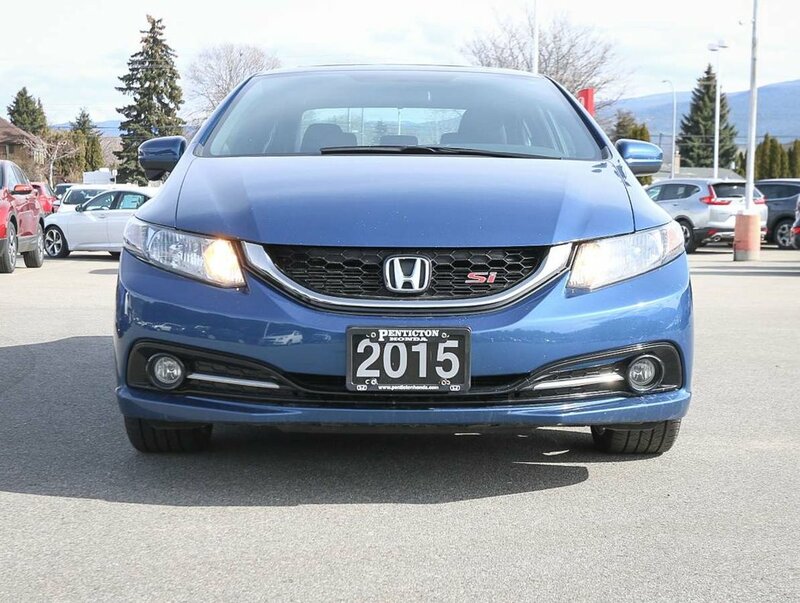 1-owner, local low-kilometer recent trade in. 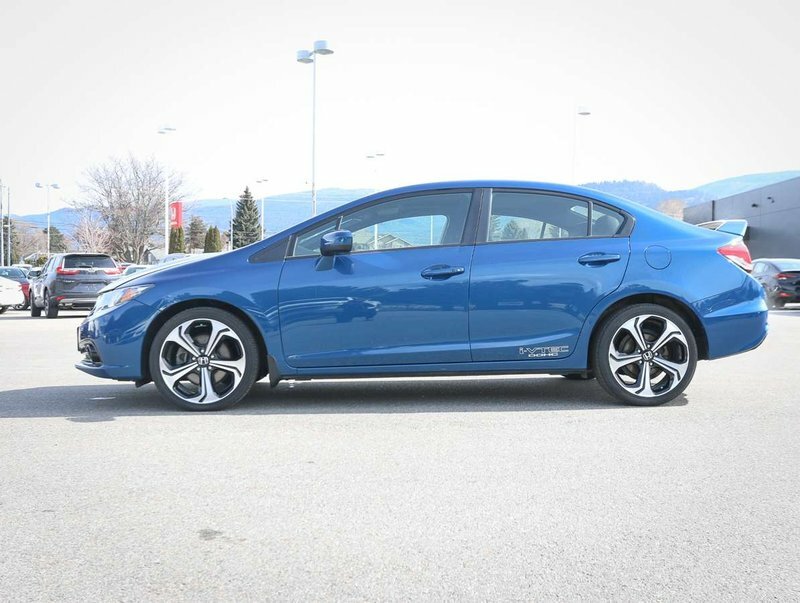 2015 Honda Civic Si purchased here as a lease in June of 2015. 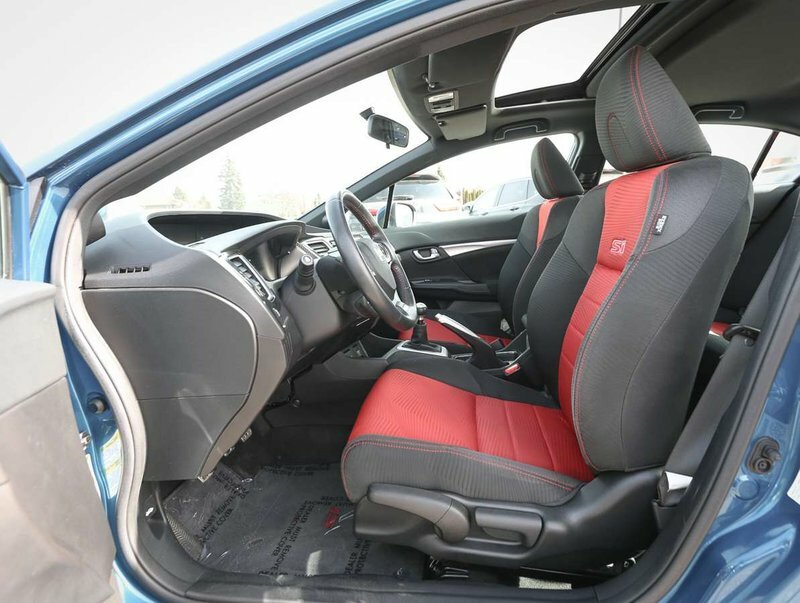 Comes in a Dyno Blue Pearl exterior that is paired with a sporty black and red cloth upholstery. 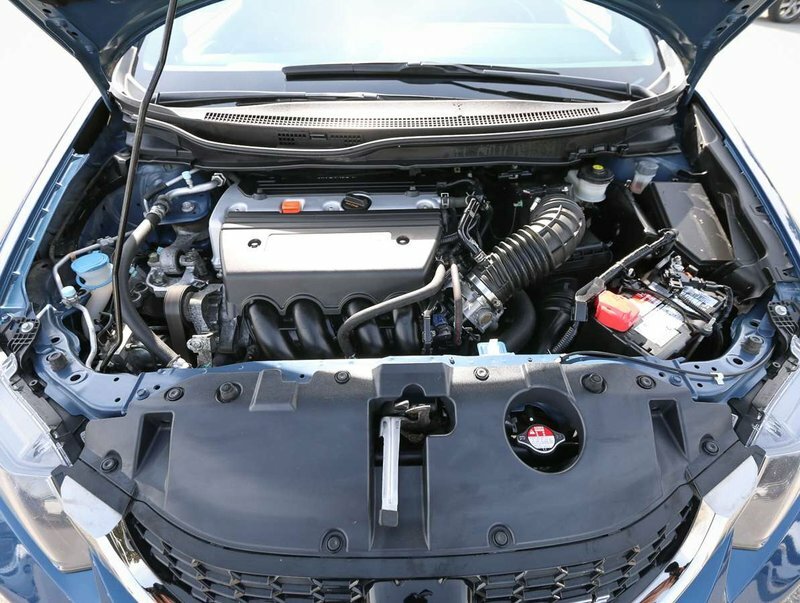 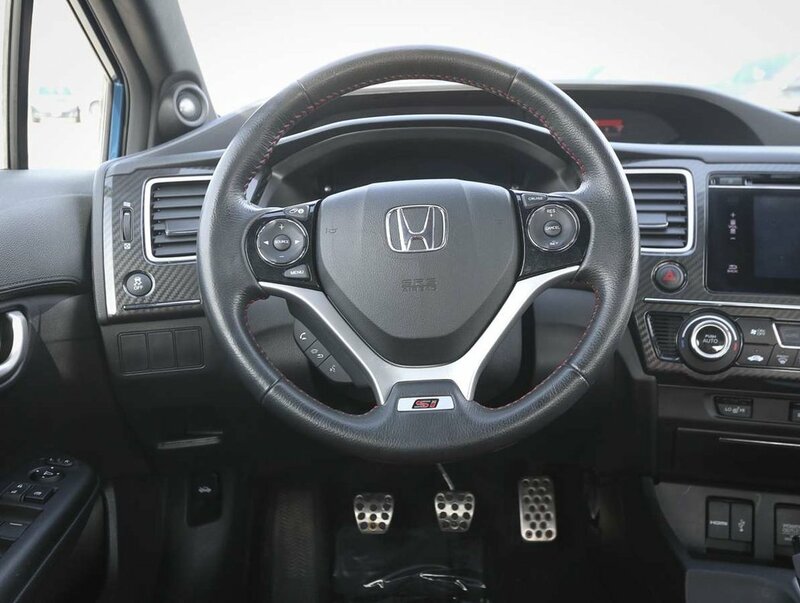 Powering this Civic Si is a I-4 cylinder 2.5L engine, paired with a 6-speed manual transmission, that produces 205hp and can get up 31MPG. 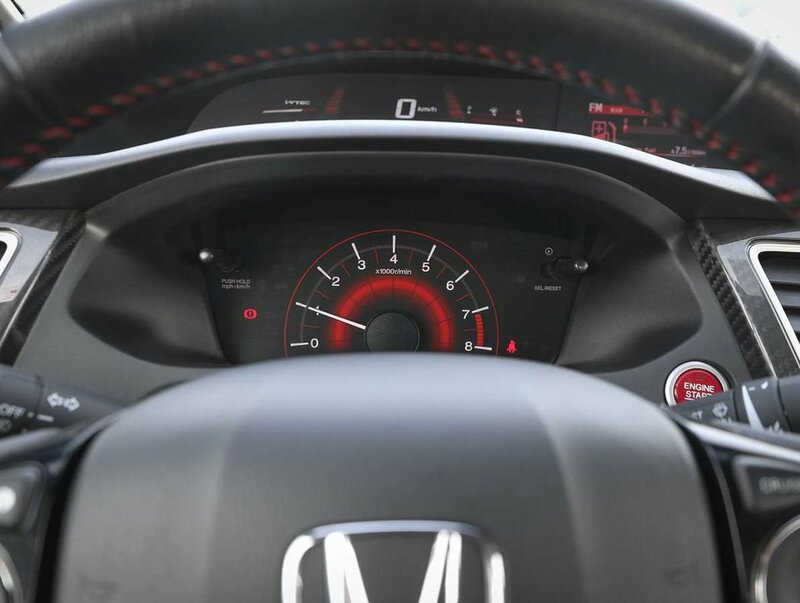 The Civic comes with a clean Carproof, 2 smart key fobs and all original owner's manuals. 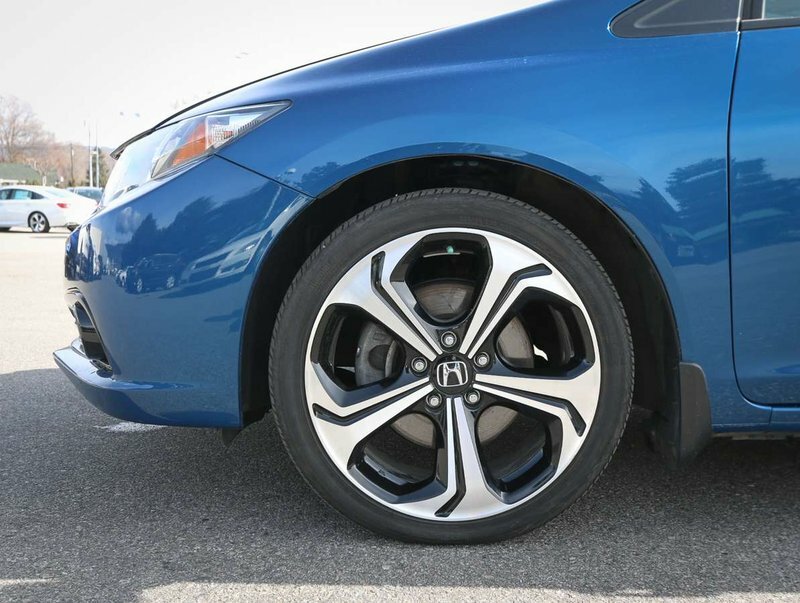 We put the Civic through a multi-point, comprehensive used vehicle safety inspection to ensure driving quality. 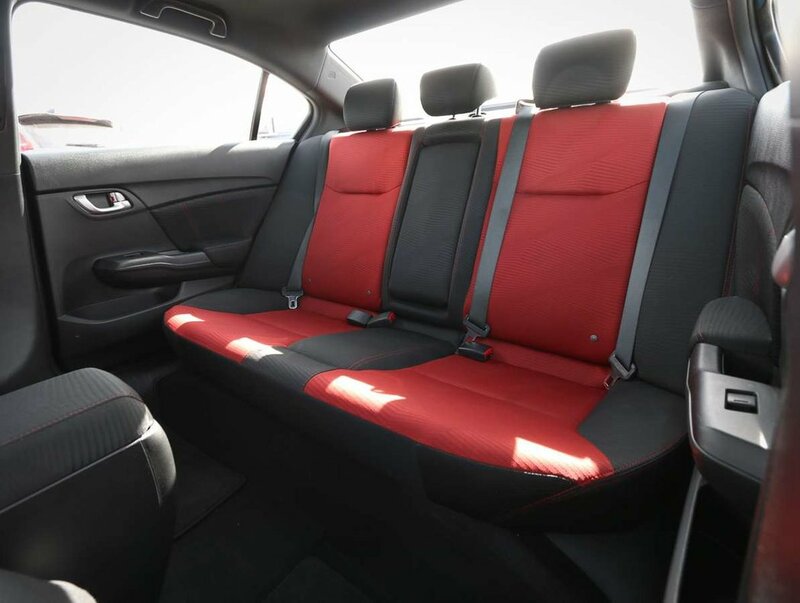 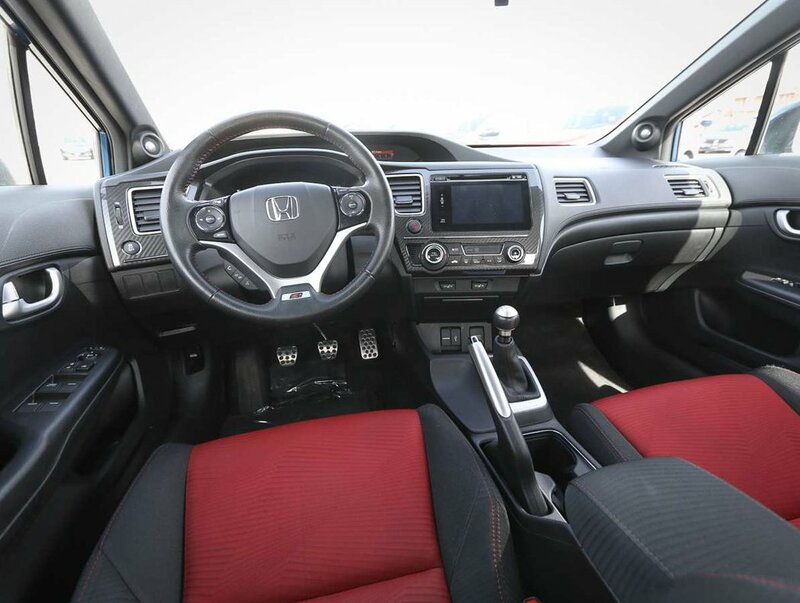 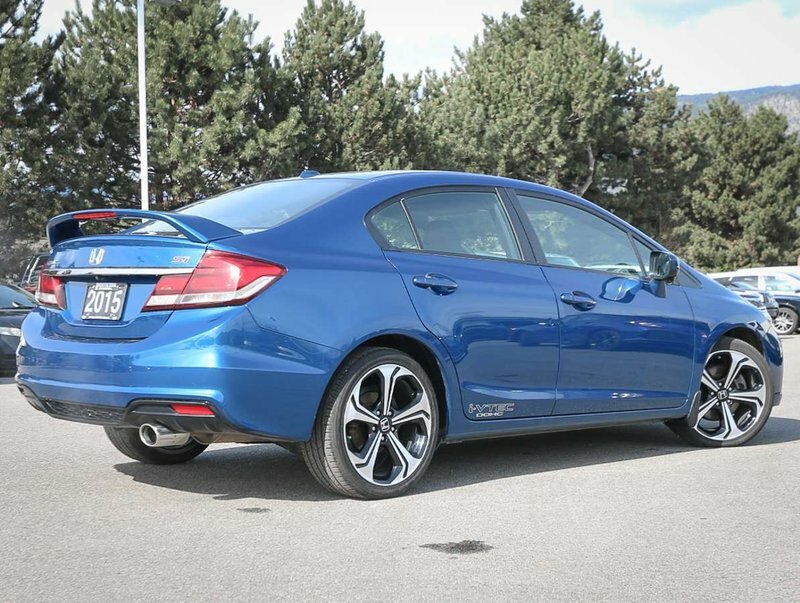 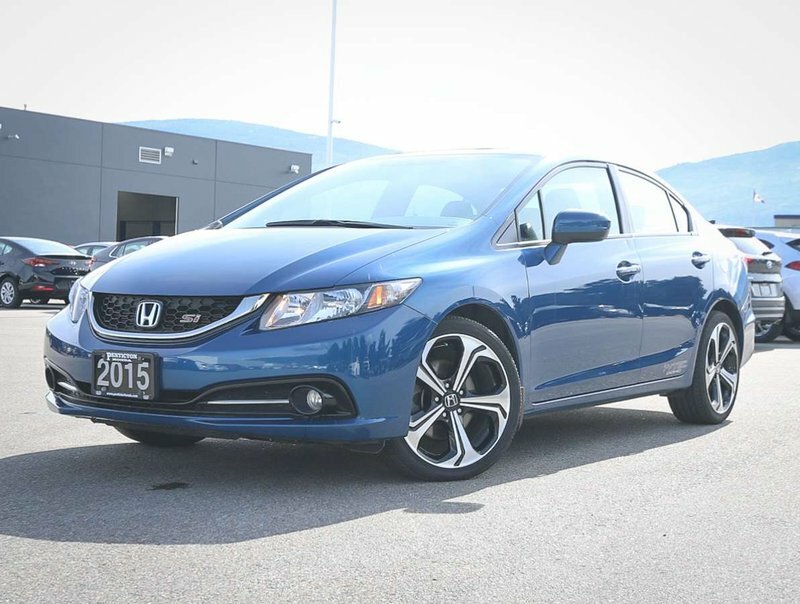 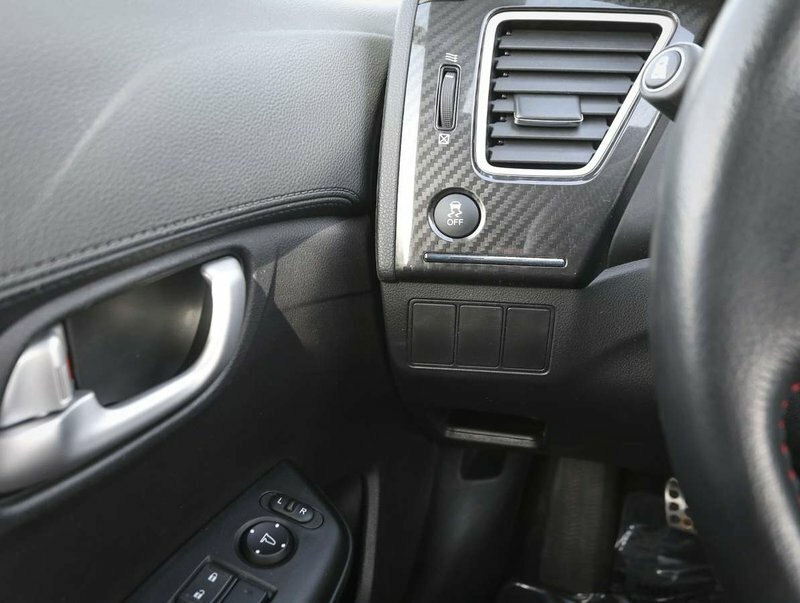 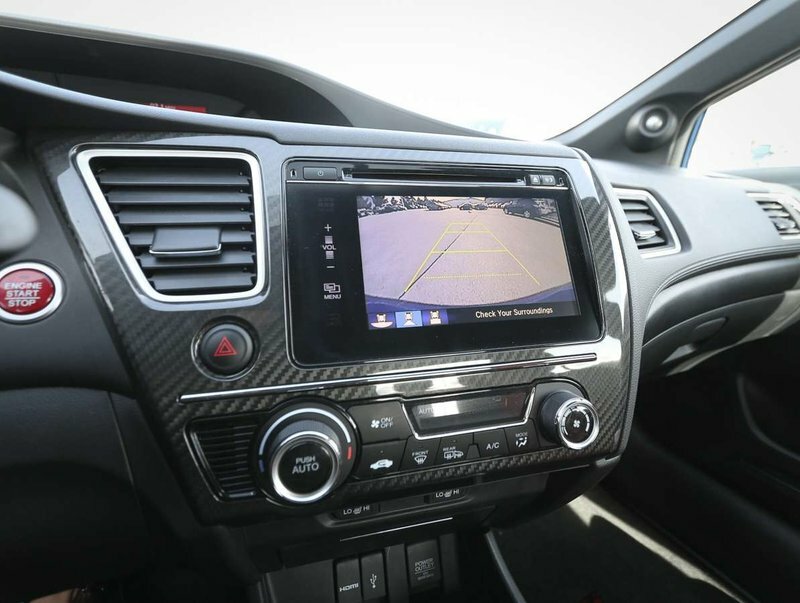 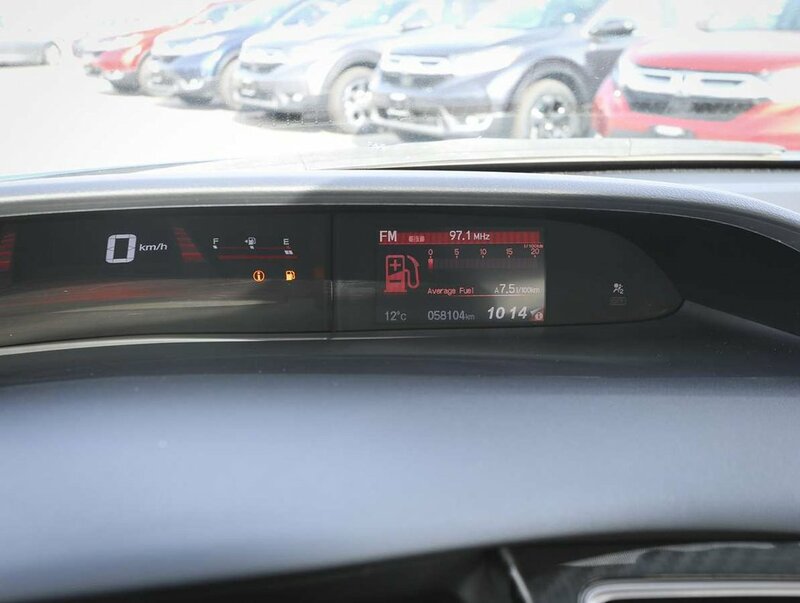 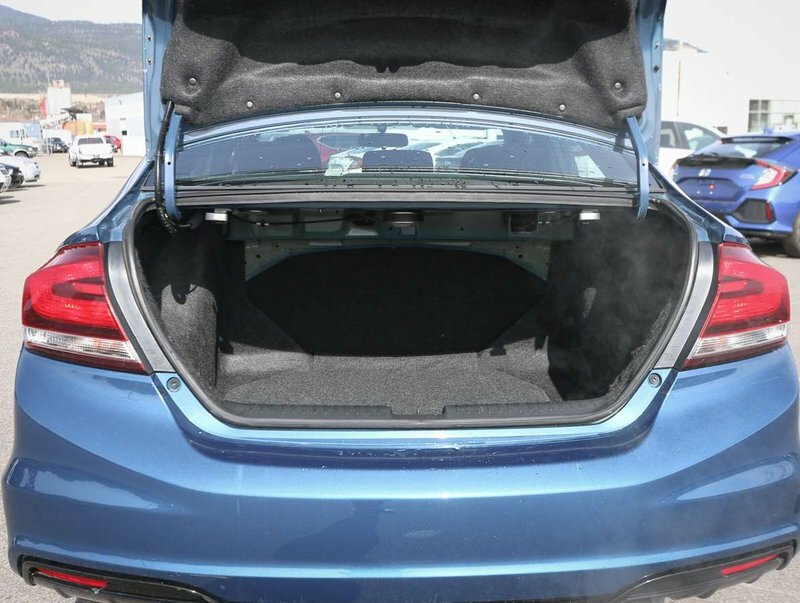 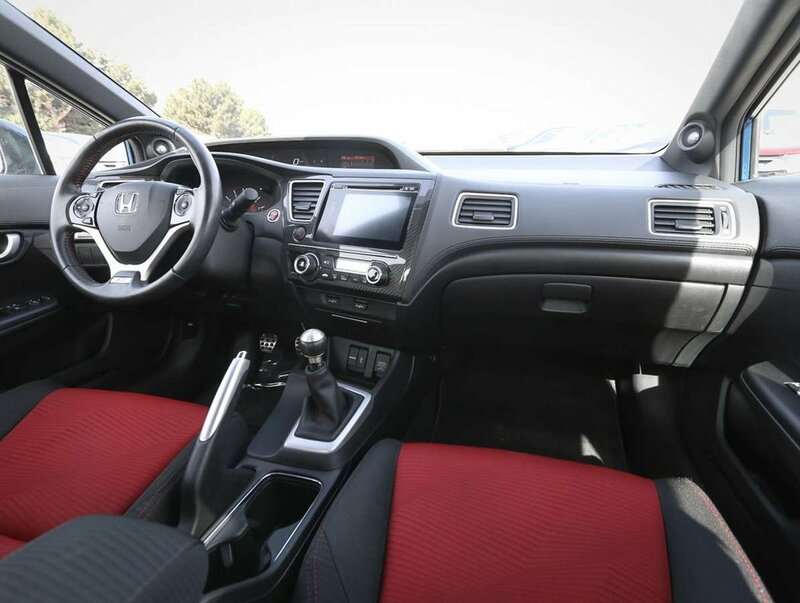 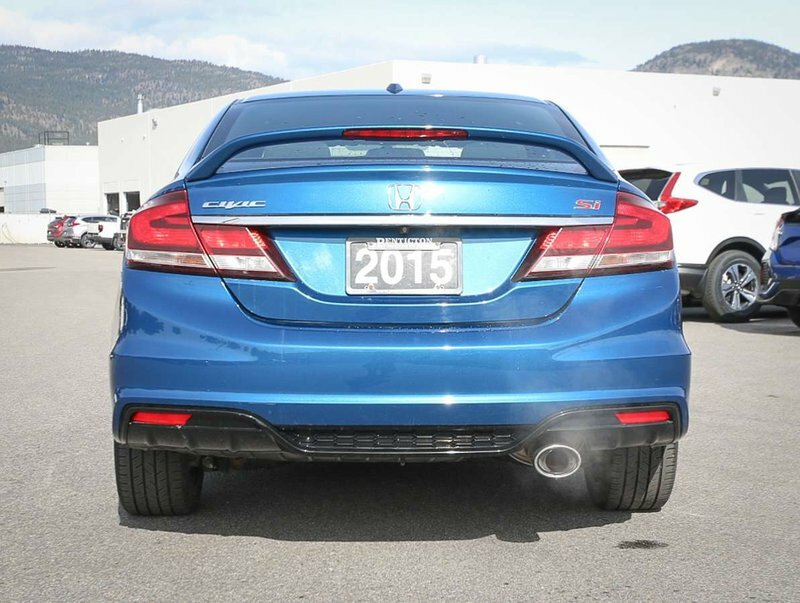 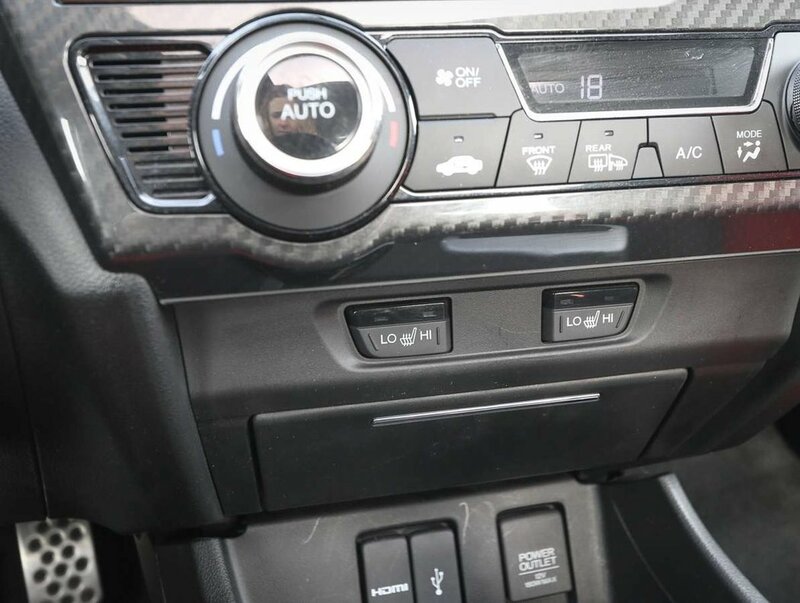 Some of the features in this 2015 Civic Si include power windows/locks/mirrors, reverse camera, fog lights, power sunroof, keyless entry with push button start, cruise/audio and Bluetooth steering wheel controls, traction control, Honda LaneWatch, heated cloth front seats, AM/FM/CD audio system with HDMI/USB input, alloy wheels and more!